Although rainwater harvesting methods have not changed much throughout the years, the hardware and materials being used certainly have, be it gutter guards or water tanks in WA homes. Patrick Dupont explains each step of the process and what it takes to harvest rainwater efficiently in his article for Your Home: Australia’s Guide to Environmentally Sustainable Homes. Obviously, harvesting rainwater enables you to maintain an alternative water supply that you can tap into during crises or drought. The practice can lessen your dependence on mains water lines by up to 100% and thereby reduce your water bill. These outcomes would depend on the size of your tank and the climate conditions in your locality, however. Meanwhile, lower demand from the mains could in turn lessen the need for new dams, reduce infrastructure operating costs, and help reduce local flooding. To determine which size water tank is appropriate for your home, consider your intended uses for harvested rainwater as well as how much water each task is likely to consume. You should also take note of the average precipitation in your area based on weather forecasts throughout the year. 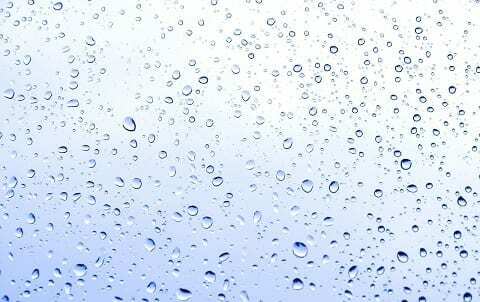 Essentially, the more rainfall you’re expecting on a monthly or annual basis, the bigger your water tank should be. Tanks come in varied configurations that suit every practical or aesthetic need. Round, above-ground rainwater tanks, for instance, are usually the least expensive type as they do not require excavation. Meanwhile, due to their narrow profile, underground slimline tanks can be installed down the side of a wall or in tight spaces where round tanks cannot fit. Tanks are manufactured utilising a variety of materials including polyethylene, concrete, steel or fibreglass. Companies like Rainfill Tanks specialise in the manufacture of premium quality durable Blue Scope steel water tanks at Perth prices perfect for homes and businesses alike. To ensure that your rainwater is safe for domestic use, and even for drinking (provided you have a suitable filtration/treatment system in place), be sure to carry out regular maintenance of the collection and storage system. On a monthly basis, make time to clean gutters and collection screen attachments. On a yearly basis, inspect the roof, remove overhanging debris, and replace filters if necessary.